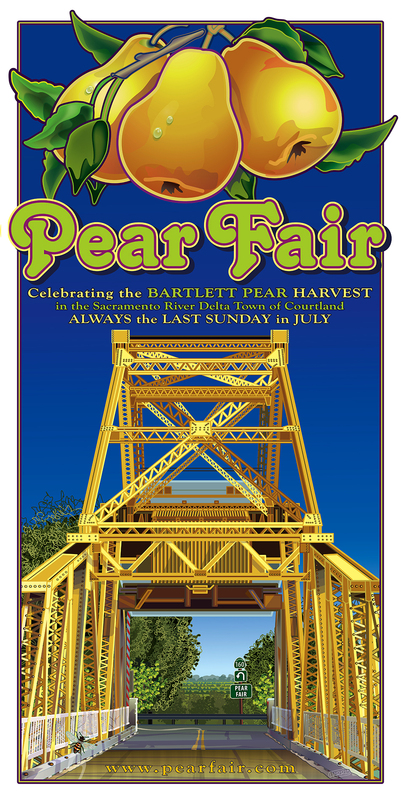 MEET DAN HARRIS, the talented man who has been creating the famous Pear Fair Posters every year since 1992 (see gallery below). 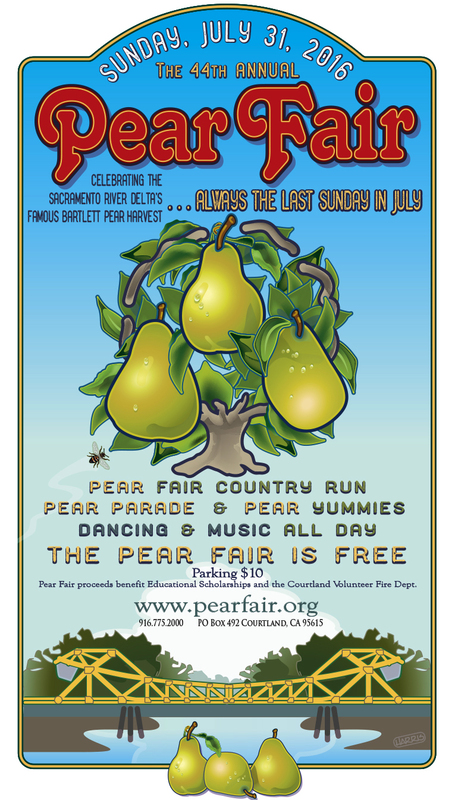 If you are a friend of the Courtland Pear Fair, then you are very familiar with the wonderfully creative posters that advertise the event each year. 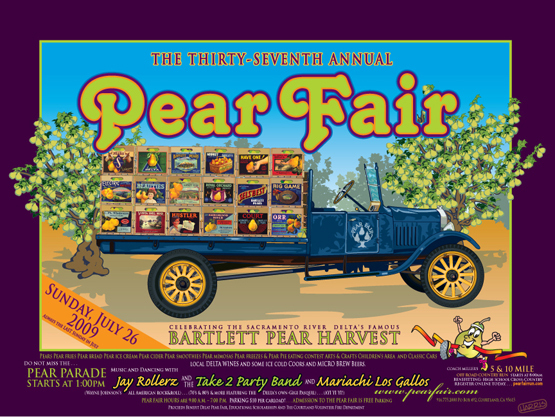 You start seeing them about six weeks before the fair throughout the Sacramento, West Sacramento, Elk Grove, the Delta and beyond. 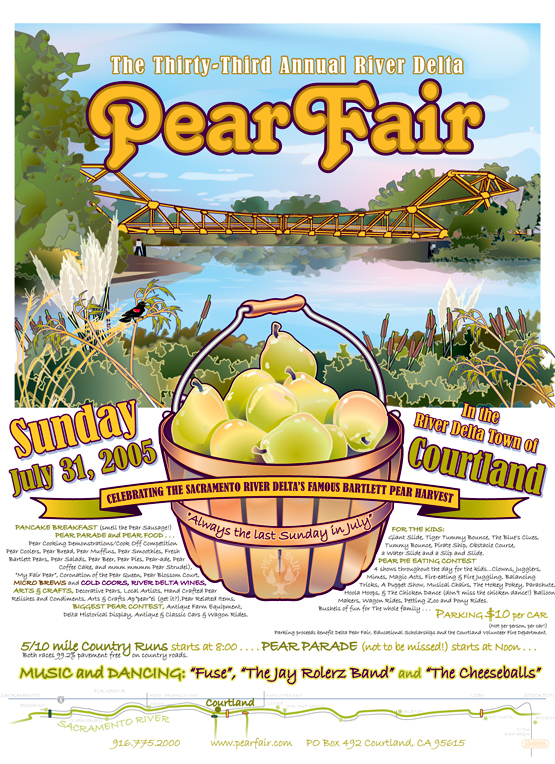 Each year’s poster is a unique graphic display of the key aspects of the fair, the Delta community, the pear industry and its history – all celebrated at the Courtland Pear Fair. 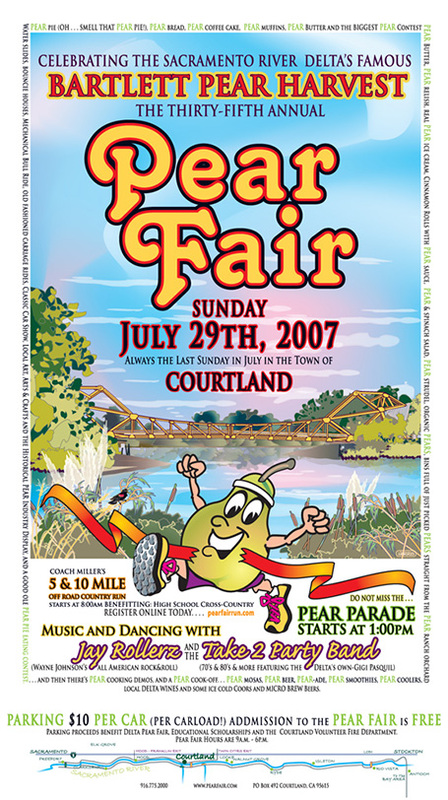 Dan Harris a Courtland resident and the graphic designer who has been creating these annual gems since 1992. 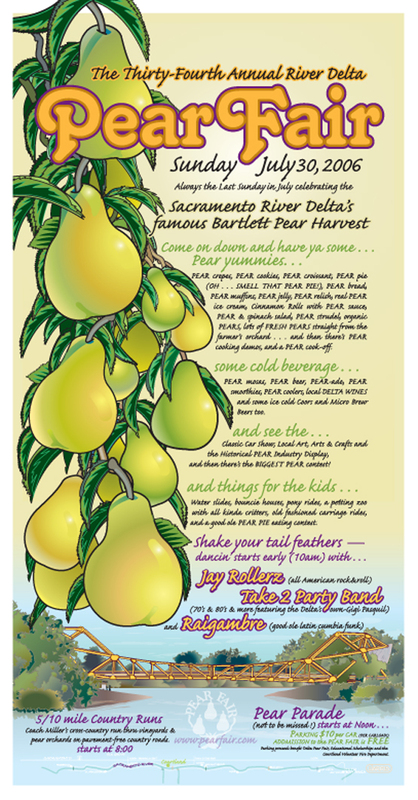 By profession, Dan is the graphic designer for the City of West Sacramento. 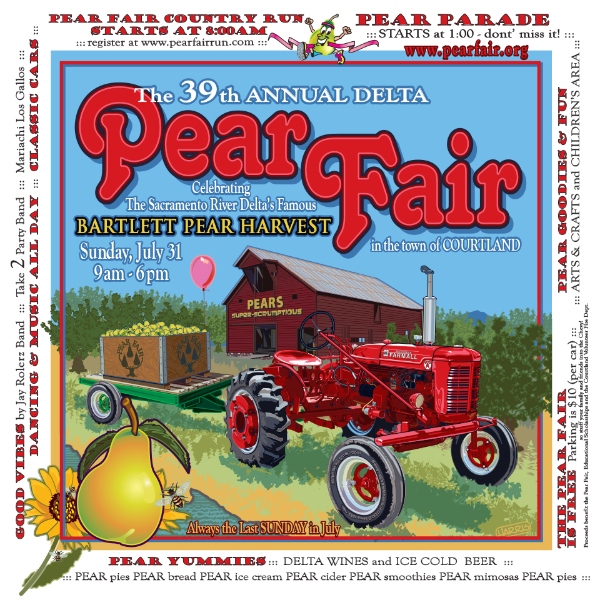 By avocation and because he is such a genuinely nice man, Dan is often the behind-the-scenes creator of the important graphic design and public relations needs of a long list of local businesses, non profits, and civic groups throughout the Delta. 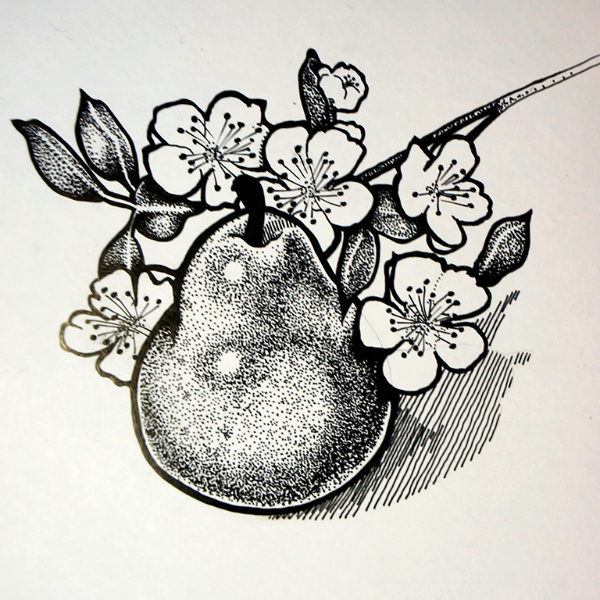 Read Dan’s Blog here. 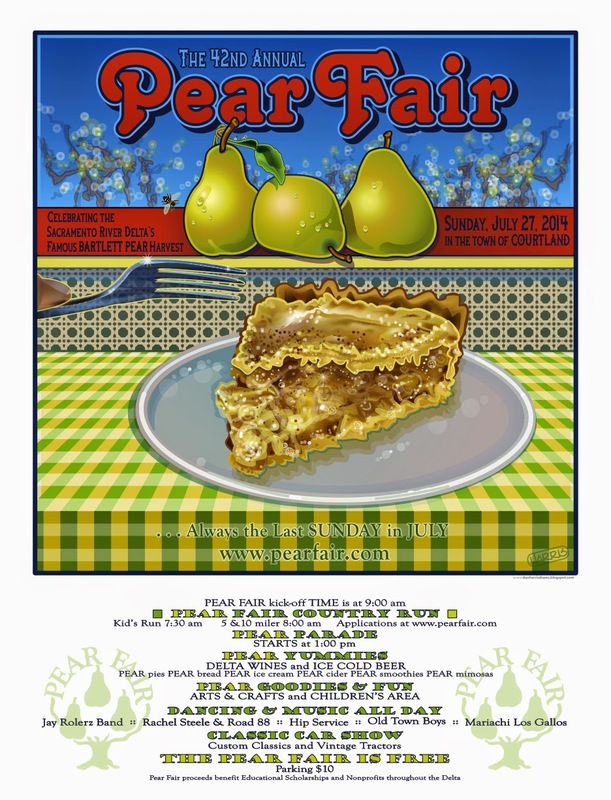 When you come to the Pear Fair, look for Dan’s 2017 Courtland Pear Fair poster for sale in the Courtland Auditorium for $10. 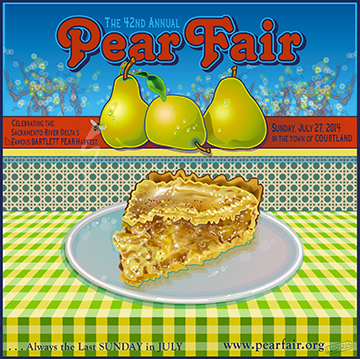 Previous years’ posters are also available at the Fair. They can also be ordered by contacting us through this website. 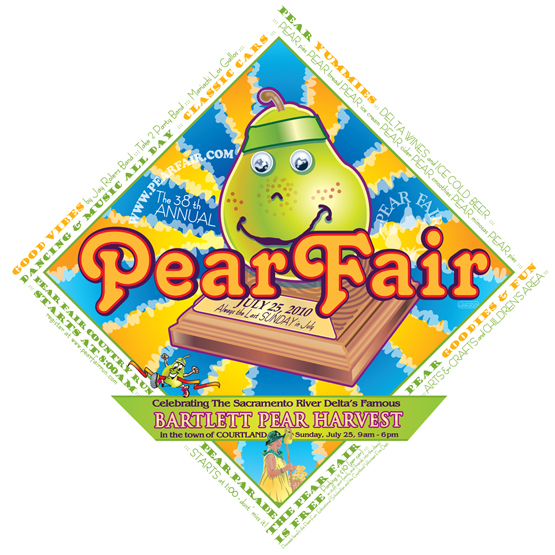 We ship them on request throughout the year – they make great gifts!